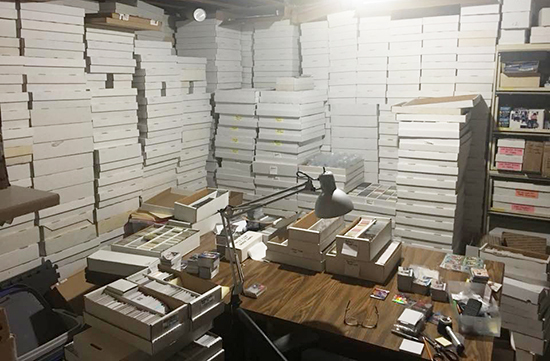 If you have been around trading cards for long enough, you are sure to have heard at least one horror story from a card collector who has lost their prized trading card collection. The most common heartbreaking story we hear involves that time that mom or your spouse went on a decluttering spree and the next thing you know, your boxes of beloved cards were nowhere to be found. In their defense, some fans can take up a lot of space with their collections, even if they are well organized and impressive like this one. As we developed the Upper Deck e-Pack® platform (patent pending), we were very interested in working in concert with Check Out My Cards (COMC) where they allow fans to store card collections with them. There was a belief that if fans could store their physical cards they purchased with Upper Deck e-Pack and view scans of them digitally, it would eliminate the issues of fan’s collections being discarded during Spring Cleaning sessions. Imagine having your entire collection at your fingertips on your computer or phone! 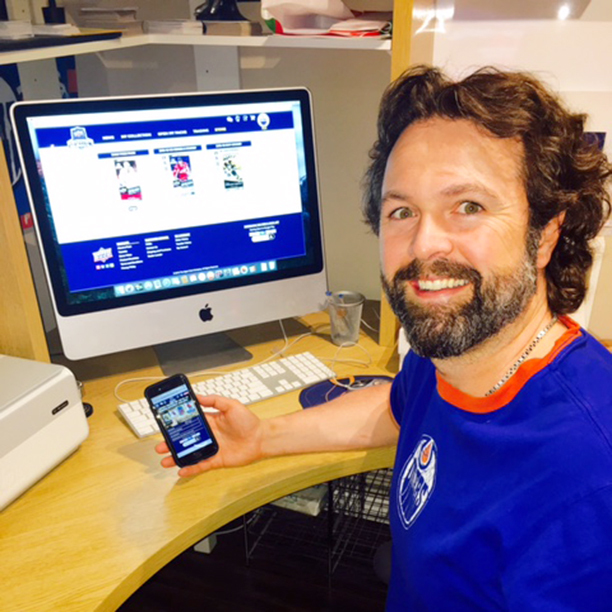 On Upper Deck e-Pack, all of your cards are housed online and you will never have to worry about your cards being sold or thrown out by family ever again. Upper Deck e-Pack gives you the flexibility to open cards on-demand anytime, anywhere and not have to worry about sorting, storing, or losing your cards. When you open a pack online, you can choose which cards from that pack you want to have sent to you. The rest of the cards will remain in your e-Pack account and you can choose to trade those cards with fellow e-Pack collectors, complete collecting challenges to earn achievements, transfer them to COMC, or simply keep them safe in your online e-Pack account until you are ready to trade, transfer, or ship them home. If you haven’t given e-Pack a try, we recommend you check it out! You can start by creating a free account at www.upperdeckepack.com and opening one FREE digital pack of your choice every day. Once you get the hang of it, you can scroll through some of your fellow e-Pack collector’s impressive assortments of cards and start trading with collectors around the world at the click of a button. Have you ever lost cards in an unfortunate way? Share your story with us below and trust Upper Deck e-Pack to keep your collections safe going forward. I believe the photo with all the cards in boxes is from Rob Veres’ living room. Hello, E-pack is good but it would be great if you guys would give us free base packs instead of that digital purple nonsense. More collectors would be on there giving you people their money if you would give us free base packs again.